As an entrepreneur, consultant, CEO, and advisor for companies, cities, and universities, she has spent over 16 years re-imagining the way we work and learn. She blends her contrarian perspective with design thinking, opening her audience to new ideas and approaches. Facilitating Employment Visioneering Session for the X PRIZE. Ikigai For Entrepreneurs - What if the next generation of entrepreneurs built businesses that were deeply connected to their personal Ikigai? What if the paradigm of entrepreneurship shifted such that every business was a combination of what we can be paid for, what we are good at, what the world needs, and what we love? (Also available as a workshop and can be customized for intrapreneurs, innovating within existing companies). Designing a Purposeful Career - Workshop focused on helping participants design a career path balanced between their interests, skills, desired impact, and market demand. Inspired by the Japanese concept of Ikigai. Combination of personal reflection, group discussion, and individual exercises. Negotiating Compensation - Explores the basics of salary negotiation, equipping participants with the skills and concepts used in negotiations (e.g. BATNA, win/win, interests vs. positions, anchoring, fixed pie). Invites participants to explore the deeper roots of their beliefs about and relationship with money. Provides practical tools on how to best prepare for negotiation by collecting data on geographic and role comparables. Mastering Difficult Conversations – Engaging workshop in which participants practice preparation, active listening, building trust, de-escalation, changing mindsets, and generating alternatives. Question Salons – Evening discussions inspired by the Jeffersonian Dinners hosted by our 3rd president and the creative salons held by Gertrude Stein in Paris in the 1920’s. Provides attendees an opportunity to explore big questions, build trust, and engage deeply with one another. "Kacy takes a room into the palm of her hand and holds them rapt." "I wasn't expecting to be moved as much as I was." "It was really clarifying, inspiring and timely." 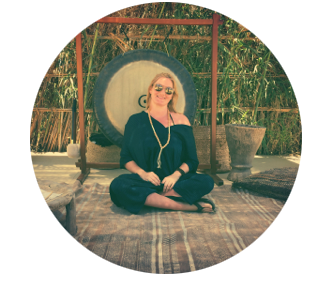 "As a facilitator, Kacy inspires trust and authenticity. A surprising self-reflection question illuminated a new insight that has shaped how I approach my career based on a better understanding of what has led me to where I am today. I’d highly recommend this experience to other seekers who are looking to align their heart and grow their spirit in the company of other inspired leaders." "Kacy’s questions expertly and quickly zeroed in on the marrow of the subjects at hand. With no pretension or artifice she seamlessly navigates true connection between the group and with the individual to themselves. The session and her questions were absolutely refreshing and exhilarating." "As an entrepreneur, faced with the interminable demands required to keep you and your business moving forward, it's all too easy to lose sight of what's truly driving you. Kacy's leadership, through her own story and pointed group discussion, helps refocus the purpose behind your work in a way that resonates far beyond the discussion itself." "I’m a CEO who regularly speaks in front of thousands of people and that doesn’t make me nervous. But sitting here, about to answer these questions, my heart is racing." "I wish this session had come sooner. We’ve all been together for the past three weeks, and I’m only now feeling like we’re getting to know one another." Beautiful setting for a 2018 Malibu Question Salon with academics, executives, and social entrepreneurs. This year Kacy will be speaking at a variety of social entrepreneurship events. She is happy to customize talks, salon discussions, and facilitated workshops to meet your needs. If you are interested in learning more about availability and pricing, please use the contact form below.